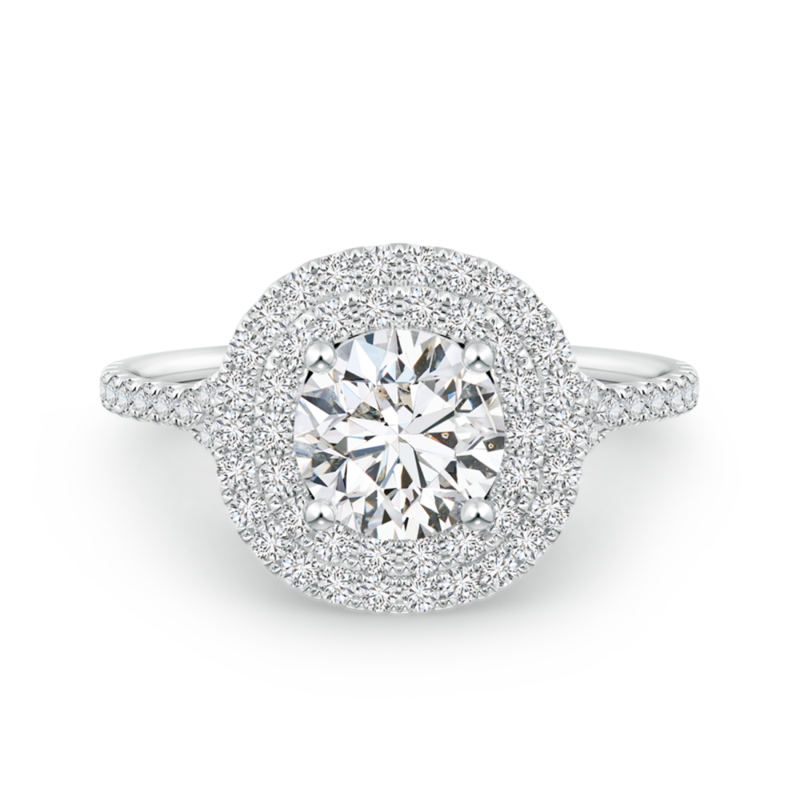 The timeless halo design is recreated with double the sparkle in this lab grown diamond engagement ring. It features a luxurious twotiered diamond studded halo framing the dazzling center stone. Glittering accents on the 14k gold shank further enhance the beauty of this double halo diamond ring.